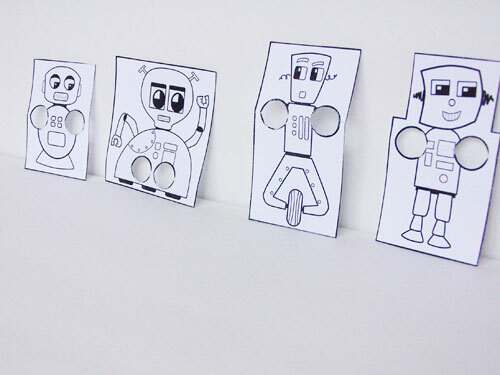 As you know, I’m a huge fan of crafts that are print and go. No mess, no fuss – just fun! 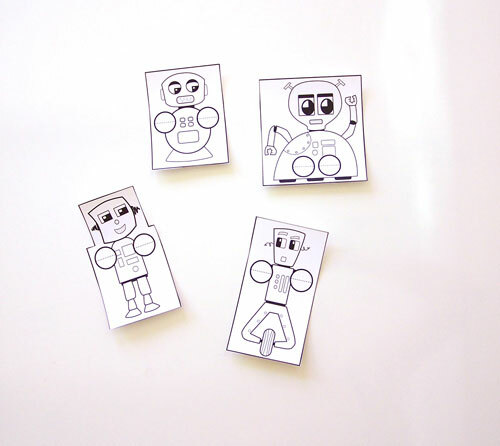 I made up these fun little robot finger puppets for the boys. 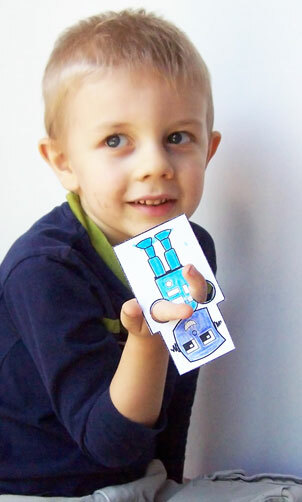 And they were a much bigger hit than I thought they’d be! They played with them a long time, and had a bunch of fun running them around the house. 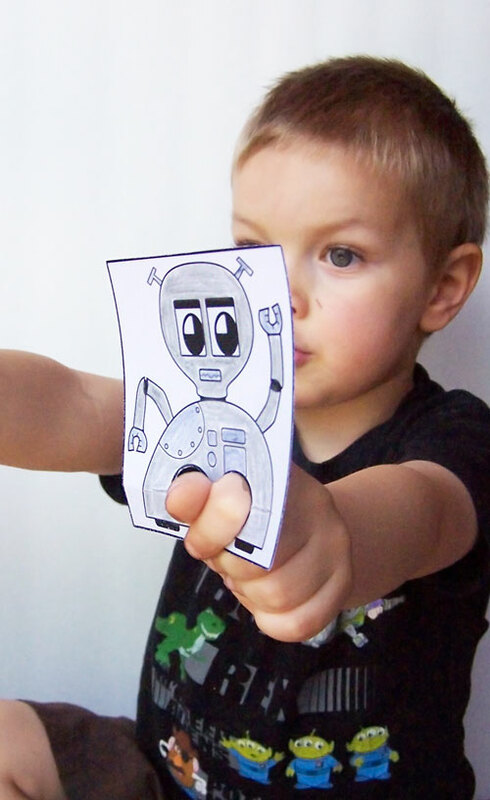 Click here to download the robot finger puppets. 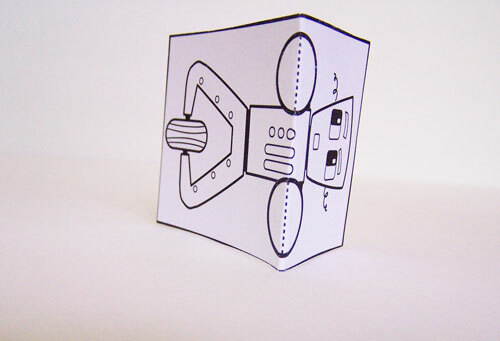 Just print the robot finger puppet page out. 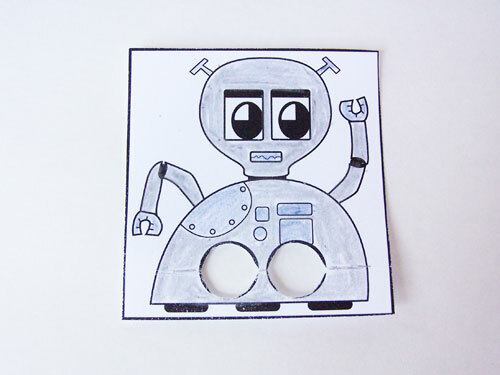 I recommend using card stock for this craft, because they robots will hold up much better. We use this cardstock . 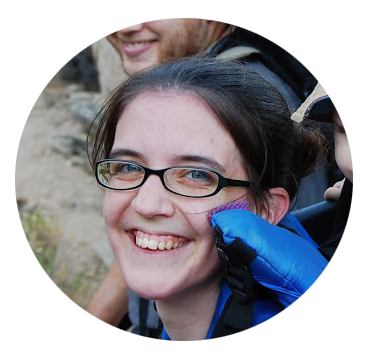 In fact I’m about to order my next pack – this one has lasted me about 7 months. I’m getting ready to make a bunch of printable crafts in this next month, and I can’t wait to show you what I’m working on! 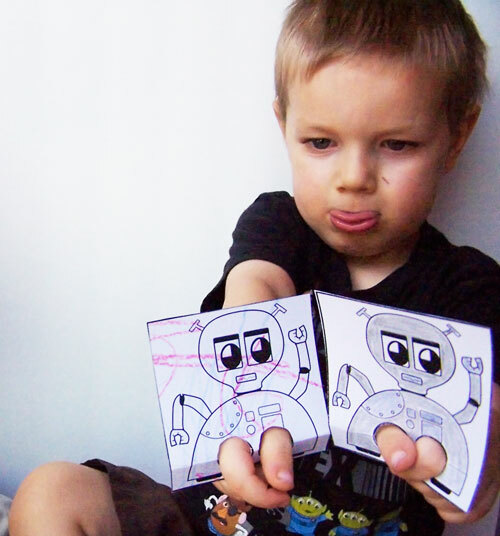 Your kiddo can also color them (like one of my little guys decided to do). 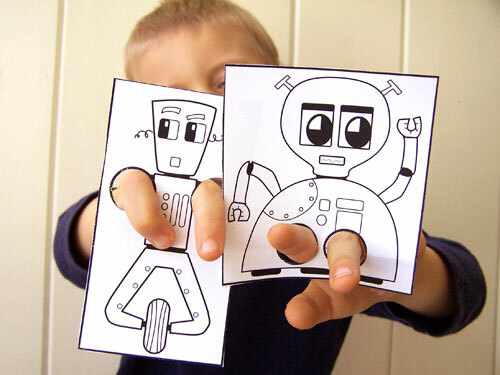 Or have some fun and color with your kids. 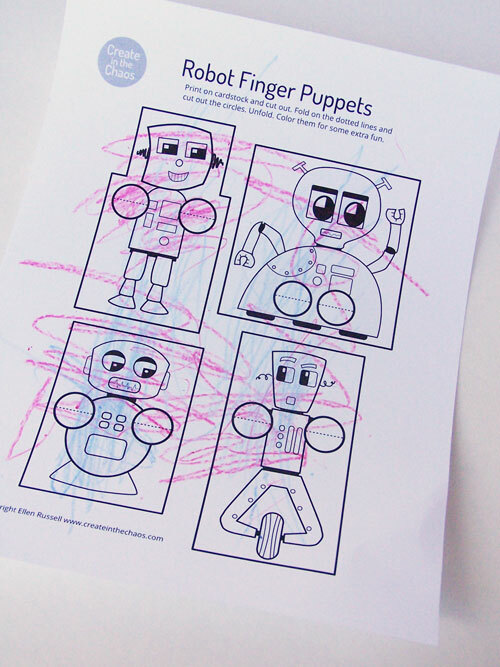 It may sound silly, but coloring with my boys is one of my favorite things to do. And have some fun playing. 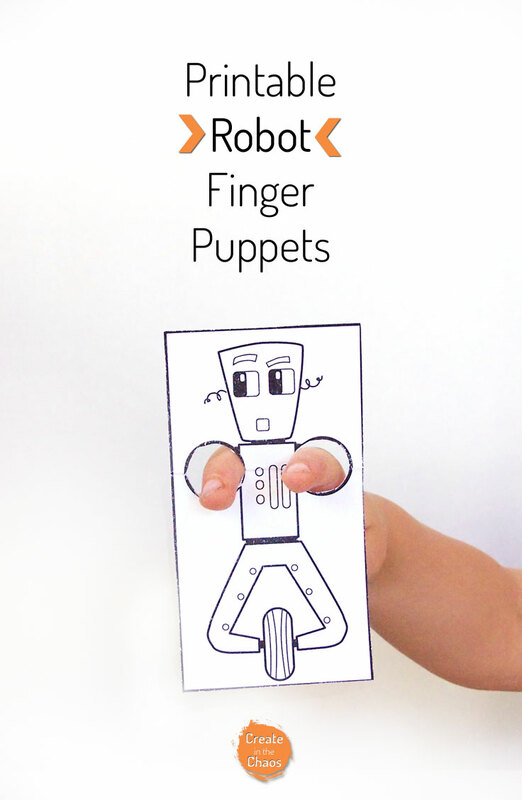 Want to get your own set of robot finger puppets? Just click here to access the file and download it. P.S. 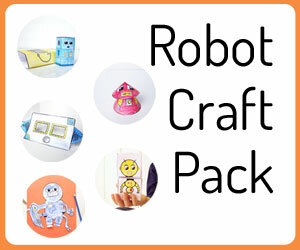 If you’re looking for more awesome robot crafts, check out my printable robot craft pack. 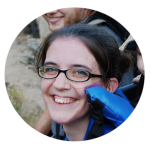 Hi I signed up for your newsletter and have tried to use the link to free printables in the confirmation email but am asked for a password. I can’t find the password in my confirmation email. I’ll send you a quick email with the password.